TV presenter Darren McMullen will try his hand as a primetime actor as he joins Nine’s cast of House Husbands. The Voice host will play ‘a love interest who ruffles feathers’ in the series, joining recently-announced cast members Rachel Griffiths and local Lincoln Lewis. McMullen, who has previously been producer and entertainment journalist, has a sole acting credit on IMDb playing a TV presenter on UK series The Magicians. “Acting has always been a big passion of mine. For many years it had to take a back seat when my presenting roles took off around the world. I promised myself at the end of last year that I was going to focus more energy on pursuing interesting roles to sink my teeth into,” McMullen said. 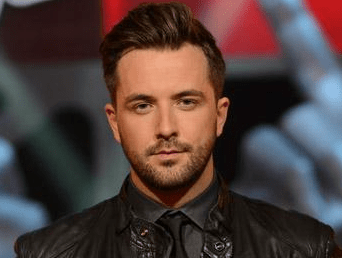 He is currently hosting observational series Darren McMullen’s Outsiders for National Geographic. House Husbands returns later this year. Darren is going to look so good when he stars in House Husbands. Weird casting choice but see the main problem producers had was there was 4 couples on the show…can’t have everything same old so have to change relationships up…axe Nicola and Tom to get new storylines and supposed new life. Not sure why this had to follow though, seriously there could of been other storylines they could of used! Rachel Griffiths is a great addition but Lincoln Lewis and Darren? Ahh what are the producers thinking. I always remember him as the guy who’s name I can’t remember. @ matricite. You may have missed the news, but the actor playing Tom (Tim Campbell) is not having his contract renewed and will not appear in Season 3. So I have already lost interest and the increasing number of cast additions makes me wonder if they are still doing 13 episodes. It is sounding like an already full cast…. Apparently Darren and Rachel Griffiths will both be playing characters who “ruffle feathers”. Is the next season set on a poultry farm ? Quite a casting coup for the upcoming season of House Husbands. Another reason not to watch this trash. Next to join the cast, Delta Goodrem, Peter Overton and Lisa Wilkinson! Darren appears to be so cold..if he plays a charcter who is cold it will be perfect! At this rate, when can we expect Shane Warne to be cast. If he interferes or destroys Kane and Tom’s relationship, I’m never watching the show again. What on earth are they doing with this show?